The Growth Coach is actively seeking franchise expansion and new franchise owners in Delhi, India. All of India, Delhi in particular, is poised for rapid growth and development of its middle class, entrepreneurs and small businesses. As the boom of entrepreneurs and small business owners continues around the world, and the need for business coaching and entrepreneurial education grows and intensifies, The Growth Coach Franchise is well positioned for global expansion. Case in point, The Growth Coach is actively seeking franchise expansion and new franchise owners in Delhi, India. All of India, Delhi in particular, is poised for rapid growth and development of its middle class, entrepreneurs and small businesses. The Growth Coach, an international business and sales coaching franchise, is the world’s leader in group coaching workshops and the only franchise dedicated to helping business leaders find both success in business and balance in life. Growth Coaches around the world serve small business owners, management professionals, sales teams and the self-employed, among others. The Growth Coach was recognized by Entrepreneur Magazine as the #1 ranked business and sales coaching franchise in 2013. “The Strategic Mindset® coaching process and services of The Growth Coach are applicable in any country and with any business culture. We know business leaders, management teams, and sales professionals around the world can benefit dramatically from what The Growth Coach has to offer. Small business owners are our heroes no matter where they live or work and we are passionately committed and uniquely qualified to solve their issues and challenges,” said Growth Coach President Nathan Owens. “For years the economy in India was focused mostly on the big IT companies, but now we’re seeing the middle class and small businesses grow at a substantial rate. The coaching solutions The Growth Coach provides are perfect for increasing the growth and stability of those small businesses and ensuring the development and success of their owners/entrepreneurs,” Owens added. “Entrepreneurs and small business owners are expanding rapidly around the globe and they need business and sales coaching to reach optimal success. Delhi, India is no exception and we want to be there in a big way and make substantial contributions. Our expansion plans are all part of fulfilling our mission to significantly transform lives and businesses around the world one community at a time,” stated Owens. While most of The Growth Coach’s services are delivered through affordable workshops, coaches also provide one-to-one coaching, remote coaching delivered via phone and web, and coaching for special projects. Growth Coaches in the United States also can help CPAs and human resources professionals to earn their continuing education requirements with National Association of State Boards of Accountancy, Society for Human Resource Professionals and HRCI certified workshops. In addition to The Growth Coach’s efforts in India, the company is looking to expand into 369 territories and seven countries over the next four years. The Growth Coach was recently included in the Bond’s Top 100 Franchises and has been recognized in Entrepreneur Magazine’s “Franchise 500” as the #1 ranked Business Coaching and Consulting Franchise in 2013 as well as in the magazine’s “Best of the Best” and “Top Home-Based Business” listings. For more information about opening your own The Growth Coach franchise, visit http://www.TheGrowthCoach.com or call 888-292-7992. 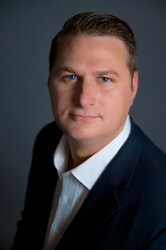 The Growth Coach was founded in Cincinnati in 2003 and is the only pure business and sales coaching franchise aimed at driving success while balancing the lives of business owners, managers, sales people, self-employed professionals and executives across a wide spectrum of businesses and industries. The Growth Coach specializes in group workshops and individual coaching with the goal of helping clients gain greater focus and leverage in order to work less, earn more and enjoy more fulfilling lives. The Growth Coach is active in more than 140 markets in North America and abroad and is always looking to expand domestically and internationally. For more information about the company or the process of opening an award-winning franchise, visit http://www.TheGrowthCoach.com.